One of the main attractions of stoves 5kW and under and gas fires 7kW and under is that they can be installed in many properties without the need for additional ventilation. However, in more energy efficient homes built during or after 2008, even low kilowatt appliances require a dedicated air supply calculated from 1kW. With these small appliances requiring only minimal air, standard vents for stoves and fires are noticeably over-sized which can cause concerns about heat loss and draughts. Introducing Rytons Mini LookRyt AirCore, a new 3” diameter, HETAS Approved, core ventilator with a modest equivalent area just right for low output stove ventilation and venting low input gas fires. With a tube just 77mm in diameter and internal grille barely bigger than a light switch, the Mini LookRyt AirCore is perfectly proportioned to satisfy stove ventilation requirements and gas fire ventilation regulations without the worry of excessive heat loss. 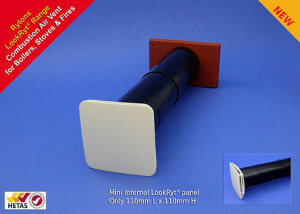 Easy to install, fixings are supplied for the mini internal panel and the tube is simply retro-fitted through a hole pre-drilled with an off the shelf core drill 78mm diameter. The mini internal grille is in our popular anti-draught panel design, which has the venting outlets hidden from view behind a front face plate. This allows air to be distributed evenly into the room dramatically reducing draughts for a comfortable environment whether or not the appliance is in use. Once the Mini LookRyt AirCore is installed the miniature internal panel may be painted or wallpapered to match the surrounding décor. 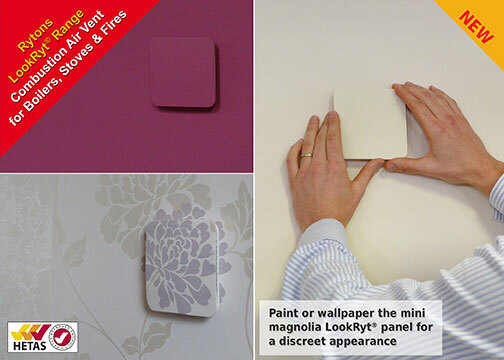 This feature, unique to the LookRyt range, enables an already discreetly sized panel to be virtually unnoticeable. To order or find a local stockist call Rytons sales office on 01536 511874. 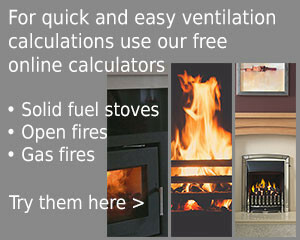 For further information take a look at our launch video or download the 2015 edition of our Boiler, Stove & Fire Ventilation brochure.